A man pulls a knife out inside a liquor store. SEBASTIAN – Police arrested a man at the Florida Wine & Spirits store in Palm Bay after he pulled a knife when asked to leave. 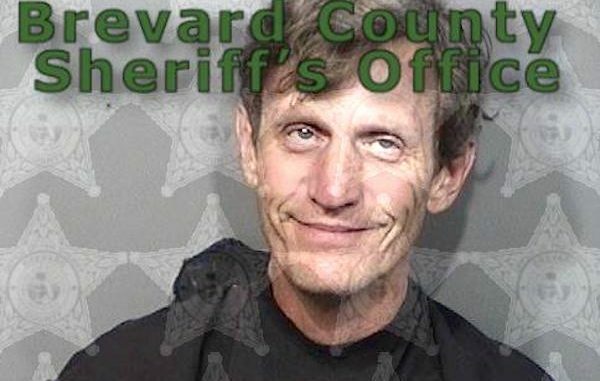 Patrick W. Welke, 50, of Sebastian, was charged with Aggravated Assault and Resisting Arrest before he was transported to the Brevard County Jail. Officers responded to 190 Malabar Road in reference to reports of an armed person inside the Florida Wine & Spirits. “A perimeter was established and a contact team challenged Patrick outside the store. Officers ordered Patrick to the ground, however, Patrick did not comply,” police said. Welke walked away from police and had to be “physically apprehended.” During the encounter, Welke dropped the knife he possessed, and resisted when being placed under arrest, according to the affidavit. Welke was transported to the county jail where bond was set at $26,000. Last year, Welke was arrested for Battery Domestic Violence after he grabbed his girlfriend by her hair and attempted to pull her out of her vehicle.